Meanwhile, Abbas said he does not think it is useful to talk with the United States President Donald Trump about any solution or issue, after he recognized Jerusalem as the capital of Israel and moved the USA embassy from Tel Aviv to Jerusalem. 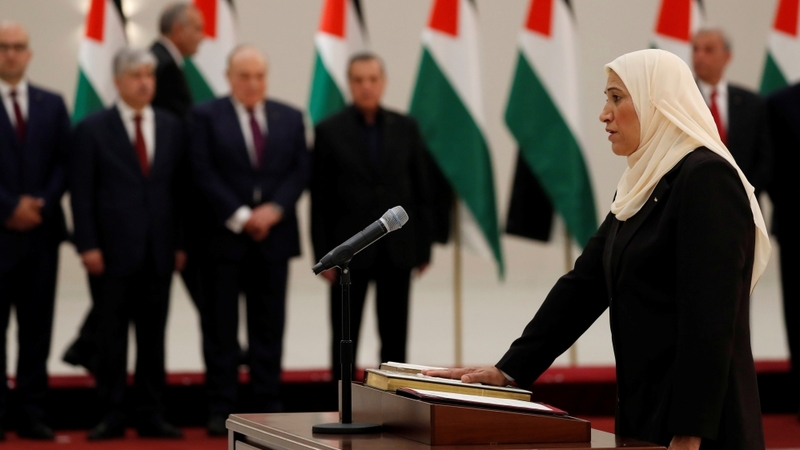 The 18th Palestinian government since the establishment of the Palestinian Authrity in 1995 was sworn in according to a presidential decree issued by Abbas, Xinhua news agency reported. Shtayyeh was named Palestinian prime minister on March 10, replacing the independent university president Rami Al-Hamdallah. The PA has been squeezed by steep United States aid cuts, with the crisis exacerbated by a dispute with Israel over the withholding of some 5 percent of the monthly tax revenues it transfers to the Authority. Israel said the sum it is holding back matches money used by the PA to pay stipends to families of militants in Israeli jails. "We are waiting, because the Israeli elections are over and we are ready to talk".